Do Braids Make Hair Grow? Cultures across the whole world seem to share the old wives’ tale that plaiting or braiding hair encourages growth. I decided to bust a few myths and bring some scientific facts to this deeply rooted (pun intended) debate. So, do braids make your hair grow faster or does braiding hair make it grow at all? The answer here is not quite as clear cut as it may seem. Braiding hair is often believed to promote hair growth, as hair that has been braided usually looks healthy and full when released from its woven embrace. So does having braids make your hair grow, or is there something else going on here? In reality, braiding structurally strengthens the hair by immobilizing strands within the weave. This reduces the hair’s day-to-day contact with fabrics, people, and objects that can lead to frictional hair breakage. For example, hair that has been braided is less likely to fracture when tossing and turning in bed, and is combed or brushed less often, which can reduce hair breakage due to grooming and detangling. If much of your hair loss is frictional, then braids can be a nice protective measure to take. 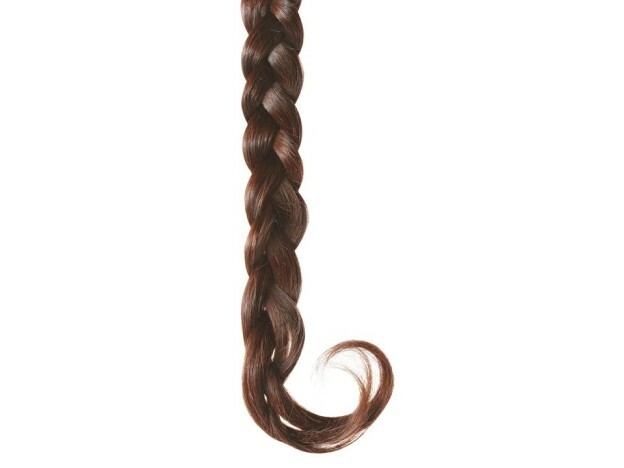 But be careful, as hair that is braided too tightly can actually cause hair damage and breakage. It is also important to remember that if you are losing a lot of hair during brushing, or waking up to find your pillow hairier than Tom Hanks in the movie Castaway, you should examine what is going on inside your body in terms of nutrition and hydration. In order to encourage hair growth it is important to target the hair growth cycle from the source. Any hair expert will tell you that diet is a key factor in preventing hair loss and promoting existing growth, and there are highly effective hair growth supplements that help to fight against women’s thinning hair. Viviscal Extra Strength nourishes hair from within by providing important vitamins for hair growth and the AminoMar® marine complex which helps to promote hair growth. So, there you have it! By protecting thinning hair by loosely braiding before bedtime, providing your body with the vitamins and minerals it needs to promote hair growth, and taking care to use a gentle shampoo and moisturizing conditioner, you can protect your beloved locks from unnecessary breakage due to dryness or friction, and work in harmony with your body’s natural processes to promote growth.